My latest article is now on The Humanist (first published 15 May 2017). Below is an excerpt. In his latest podcast episode titled “Forbidden Knowledge,” atheist author Sam Harris guides political scientist Charles Murray through an extensive defence of Murray’s widely debunked body of work, focusing mostly on The Bell Curve. Co-authored with psychologist Richard Herrnstein (who died around the time it was published in 1994), the book was universally critiqued as an example of modern-day scientific racism. The Bell Curve was founded on a flawed premise that inferred a correlation between intelligence, socio-economic achievement, and genetics, without accounting for the effects of discrimination. The research was funded by the eugenics-promoting Pioneer Fund, while academics like Stephen Jay Gould showed that The Bell Curve obscured data. Harris’s characterizations of Murray’s critics are a projection of the push back he feels he’s unfairly faced. “You were one of the canaries in the coal mines,” Harris tells Murray. Having previously dismissed Murray, Harris now feels an affinity due to facing rebuke for racism (while continuing to espouse similar views). The atheist movement has changed. Once the almost-exclusive domain of White men, calls for equality have challenged conversations, as diverse groups of women and minorities seek a more inclusive vision for atheism. It is telling that aggrieved White men feel more comfortable hosting uncritical discussions on scientific racism than engaging in anti-racism practices to reform the movement. This article was first published in April 2012 by the Taylor & Francis journal, Intercultural Education. 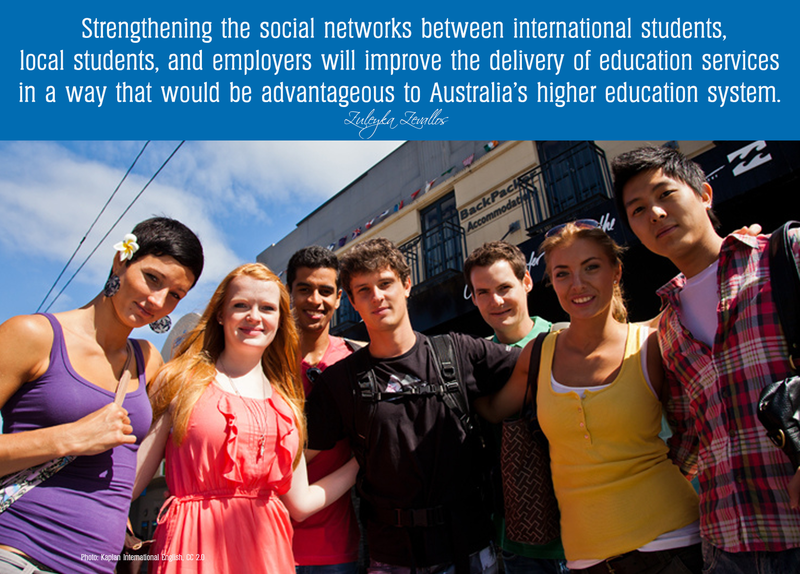 International students represent a large economic and international relations investment for Australia. Australian universities are increasingly relying upon overseas students for their revenue, but these institutions are not adequately addressing the special learning, linguistic, cultural and religious needs of these students. Despite their Australian education, international students experience various difficulties in finding work in their field of study after they graduate. Poor English-language, communication and problem-solving skills are the biggest obstacles to securing ongoing and satisfying jobs. Employer biases regarding international students are equally a problem. This paper provides a demographic context of the international student population in Australia and it also addresses the gaps impeding their full social participation in Australian educational institutions. This paper argues that a stronger focus on the socialisation of international students is likely to increase their educational and career satisfaction. Educational providers would better serve international students by focusing on practical learning, career-planning and reinforcing the social and cultural skills valued by Australian employers. Los estudiantes internacionales representan una gran inversión económica así como de relaciones internacionales para Australia. Las universidades Australianas dependen financieramente cada vez mas del ingreso de estudiantes de ultramar, sin embargo no responden adecuadamente a las necesidades culturales, lingüísticas y religiosas de estos estudiantes. No obstante su formación universitaria, los estudiantes internacionales encuentran barreras para la obtención de empleo en su campo profesional luego de su graduación en universidades australianas. Este artículo presenta el contexto demográfico general de la población estudiantil internacional en Australia e identifica las barreras para su integración social. El argumento central en el presente artículo es que una mayor atención a la organización social de estos estudiantes puede no solamente mejorar su satisfacción educacional sino también profesional. Las instituciones educativas Australianas podrían ofrecer mejores servicios a los estudiantes internacionales si avocaran recursos para el entrenamiento de habilidades prácticas que ayudaran a estos estudiantes a planear su carrera y mejorar sus capacidades sociales y culturales. Keywords: international students; intercultural learning; employment; Australian labour market; graduate career planning.